A local nonprofit organization, The Center for Advancement of Rural Living is working to revitalize the Caribou Performing Art Center in its 30th anniversary year. CARIBOU, Maine — A local nonprofit organization, The Center for Advancement of Rural Living is working to revitalize the Caribou Performing Art Center in its 30th anniversary year. CPAC is the largest facility of its kind north of Bangor, and has often been compared to the Collins Center at the University of Maine in Orono. CARL has raised more than $10,000 to date and seeks the support of local businesses to sponsor events. Darci Faye of Caribou, who manages a children’s theater group, is coordinating the effort and also wants to recruit community participation. Over the years CPAC has hosted numerous events. In recent times activity has been infrequent and Lisa Prescott, president of the board of directors for CARL, said that CPAC represents a great opportunity to develop an ongoing entertainment center in The County. Organizers hope to generate enough support to bring larger acts to the County. The Bangor Symphony Orchestra, Three Dog Night, America, and other higher-priced performers have been contacted. CARL also hopes to offer theater productions, classical music, local talent reviews, children’s programs and more. Faye said that the cooperation of the Caribou School Department and Superintendent Tim Doak have been key. 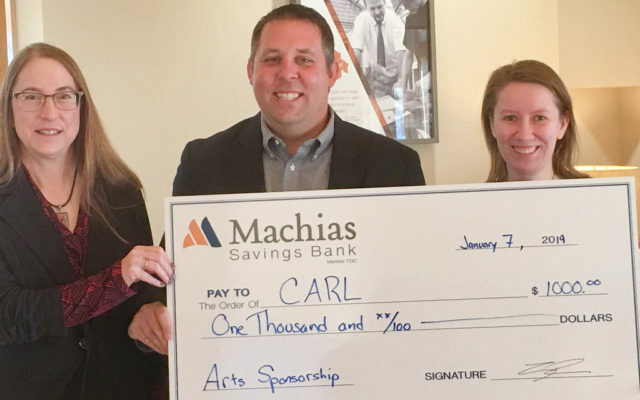 Prescott said CARL wants to re-establish Friends of the Arts, an advisory group that will help to develop a long-range plan and build community support for the performing arts center. Friends of the Arts will meet the last Tuesday of every month from 4 to 6 p.m. at the Caribou Public Library. Anyone interested in joining or becoming a sponsor should contact Faye by email at darci.faye@maine.edu.